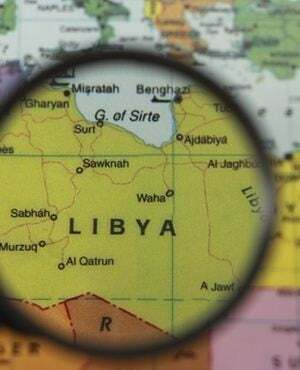 Libya has reopened its main border post with Tunisia after closing it for more than six weeks amid tensions over smuggling, Tripoli's interior ministry said on Saturday. The border at Ras Jedir was re-opened to "facilitate... Libyan and Tunisian travellers", the ministry said, without providing further details. An AFP correspondent in Ben Guerdane, a Tunisian town about 30km from Ras Jedir, confirmed the crossing had been re-opened, but said Tunisians were protesting over a lack of consultation with residents. More than 200 people set fire to tyres and blocked Libyan travellers between Ben Guerdane and the border. The correspondent said the protestors were angry that Libyan authorities did not negotiate with them over the crossing's re-opening, rather than with Tunisia's government. It was not immediately clear what the protestors were demanding from the Libyan authorities. But prior to the border's closure, Tripoli had banned the passage of goods to Tunisia in order to rein in the smuggling of fuel and other items, a local Libyan official said. The ban on goods and the closure provoked protests by traders in Ben Guerdane, whose residents depend on cross-border traffic - including smuggling - for their livelihoods. The Ras Jedir crossing has been closed several times in recent years, leading to repeated tensions on the Tunisian side. Tunisian authorities have cited difficulties in negotiating with Tripoli over customs arrangements amid the political chaos that has engulfed Libya since the fall of dictator Muammar Gaddafi in 2011. The re-opening of the border came several hours after the closure of Tripoli's only working airport, due to fighting.